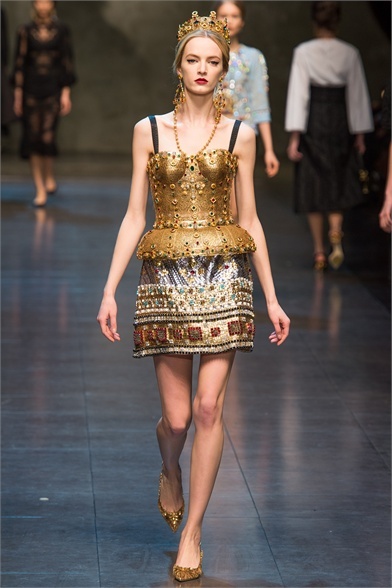 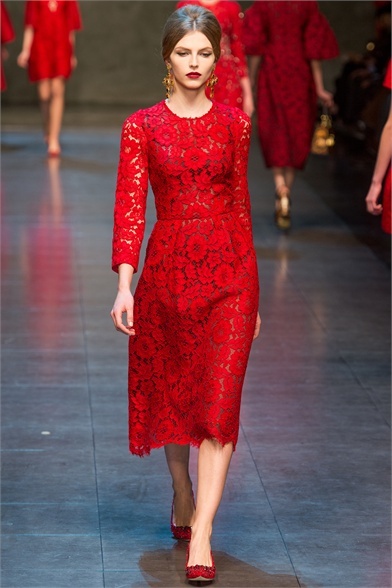 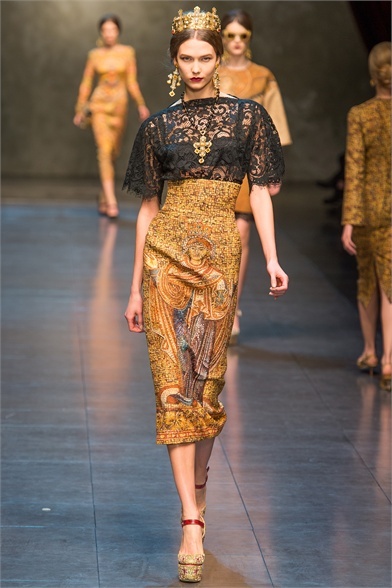 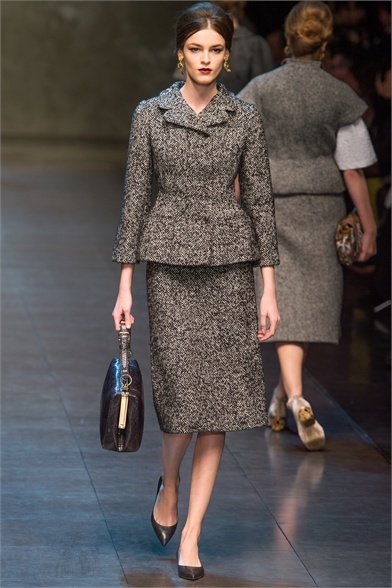 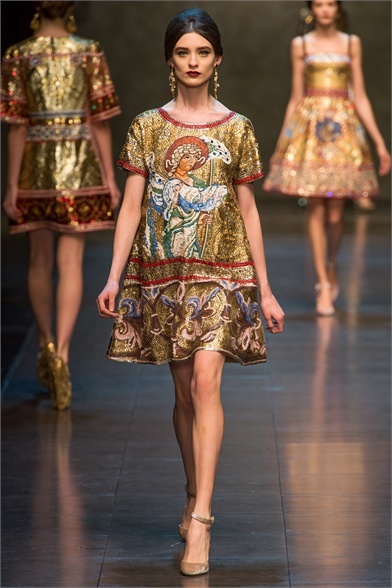 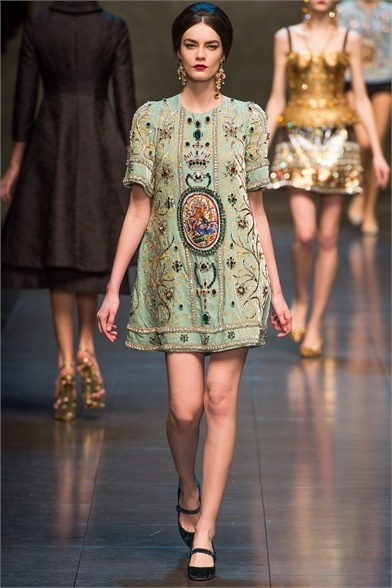 I just saw the show of Dolce & Gabbana! 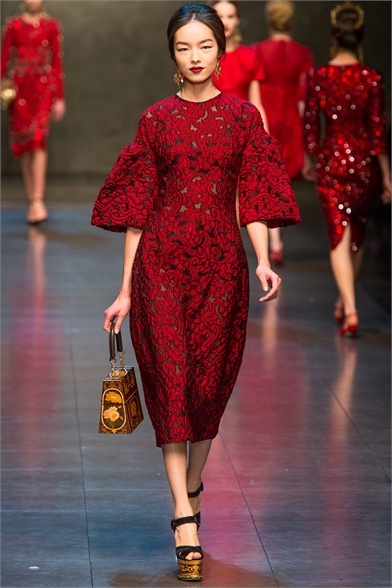 It 'was so beautiful that I could not resist to write a post just for this show! 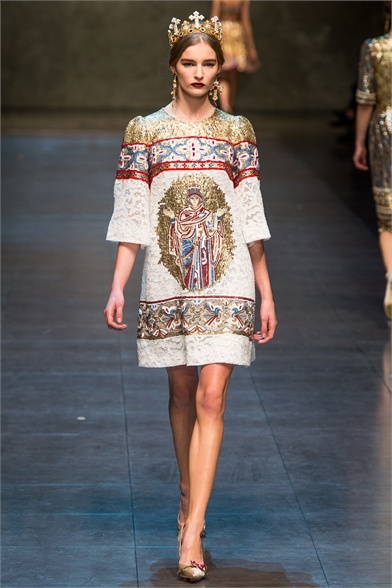 You know that I have a total adoration for Domenico and Stefano! 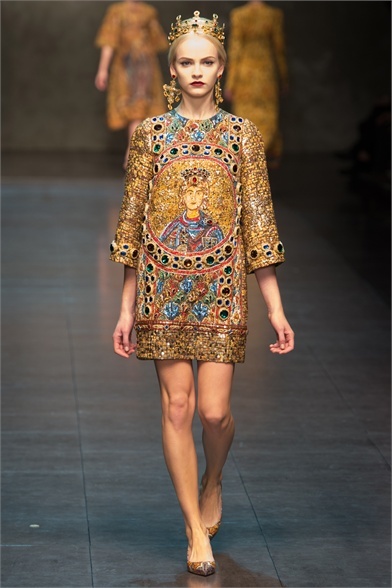 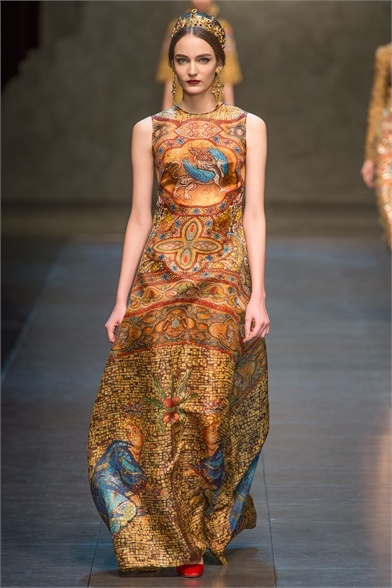 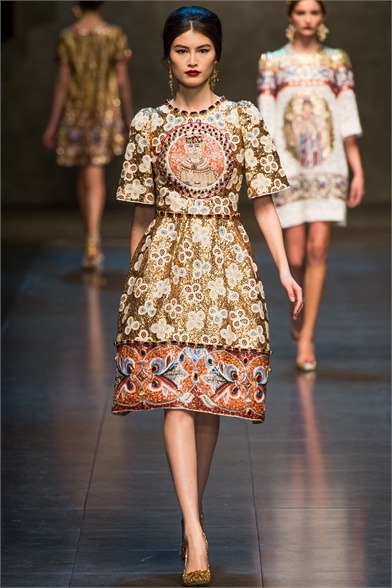 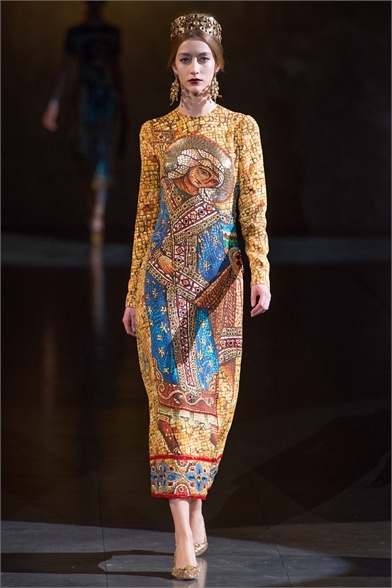 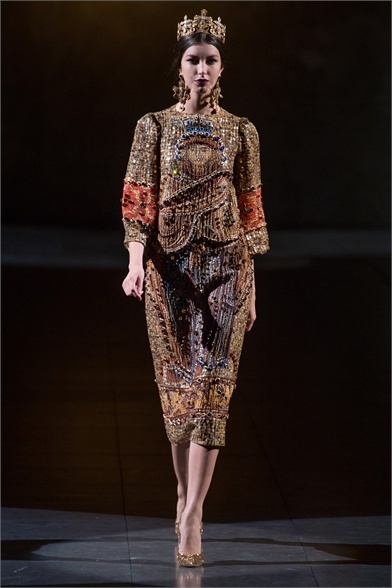 Than a set of clothes is inspired by the splendor of the Byzantine era, dresses decorated with precious stones and prints of the most famous of the ancient mosaics You will never miss show's theme, the woman as a force of nature: beautiful and seductive as ever! 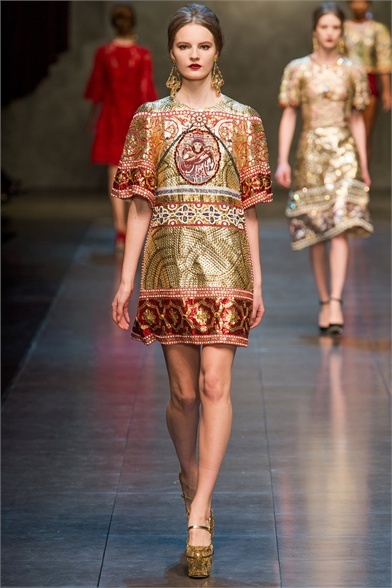 I absolutely love the rich prints and colours.